According to Ming-Chi Kuo, KGI's chief analyst that has a pretty good track record when it comes to almost anything Apple-related, Apple's iPhone X is not quite the bestseller the company hoped for, being on the verge of merely selling 18 million units for the first quarter of 2018, which is a lowly number by Apple standards and an extremely lowly one considering what a change of heart the phone introduced. That's well-below many analysts' initial forecasts of 20 to 30 million iPhone X sales. For Q2 2018, Ming-Chi Kuo expects Apple to sell around 13 million iPhone X devices, which is a rather modest prediction for a device instilled with so much expectations. The analyst believes that the reason for this uninspiring market performance could be China's longer replacement cycles. Status symbol or not, it seems that Apple might not have really cracked down the contested Chinese market with its bezel-busting, gesture-operated pride and glory. 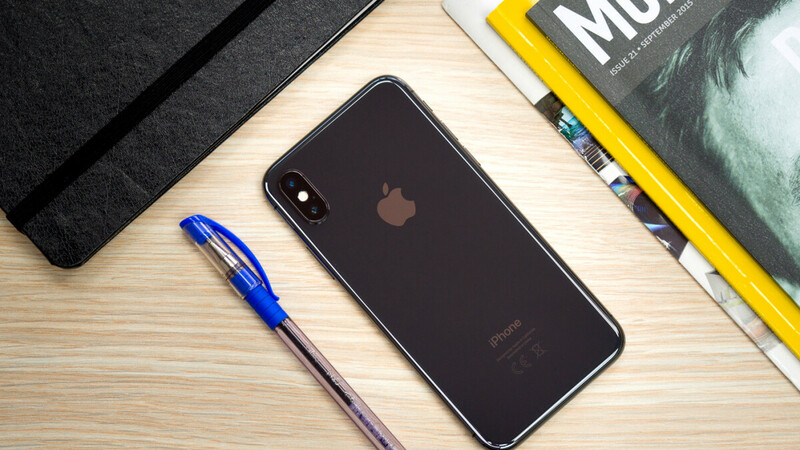 The analysts's expectation comes in stark contrast with the latest data from Kantar Worldpanel which showed that the iPhone X was the best-selling device in China. What's more, the design of the flashy iPhone X is said to be another possible reason for its under-performing sales: the notch at the front is said to be irking the local consumers, who have a thing for large-screen devices as it's synonymous with wasted space. China's endless love for affordable Android devices is cited as yet another possible reason for iPhone X's failure to dominate the market. All of this has convinced Ming-Chi Kuo that Apple is about to discontinue the iPhone X sometime in summer 2018 and solely focus on its next batch of iPhones. The analyst expects a super-cycle change to take place this September, with Cupertino discontinuing the iPhone X, the iPhone 8 Plus, and the iPhone 8 for a whole new slew of bezel-less devices. 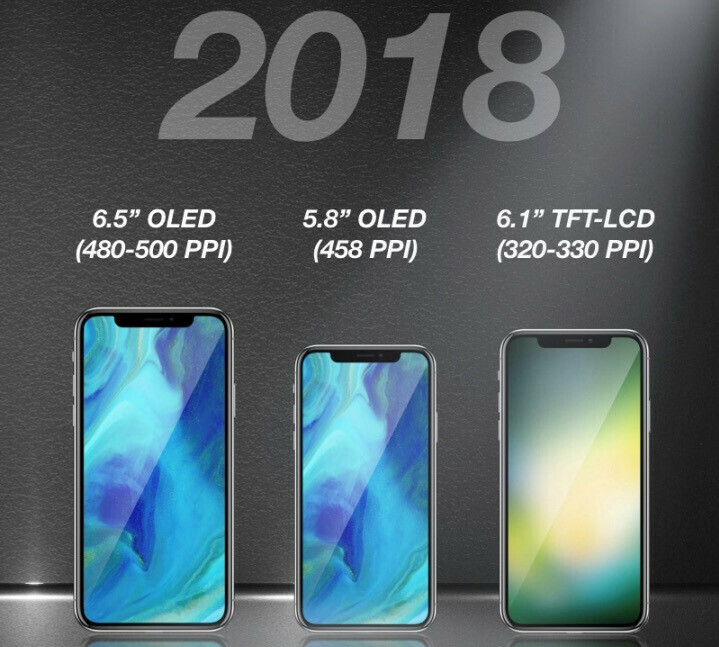 A 6.5-inch OLED and 6.1-inch LCD models are expected to arrive this autumn, which falls in line with the analysts's last-year prediction. Both are expected to be closely styled after the iPhone X, with the 6.1-inch LCD model expected to cost somewhere between $650 and $750, while the larger model will likely cost just as much as the iPhone X, if not more. Of course, we wouldn't put our money on Apple discontinuing the iPhone X that soon as the company has the habit of selling its ex-flagships for an year or even two after they get superseded by newer models. Yet, Apple works in mysterious ways - one can never know. All will become clear on February 1, when Cupertino will release its official earnings for the first fiscal quarter of 2018 and put all rumors to rest. Be sure that we will keep you posted with all the details regarding this high-profile report. Noooo... that's the only iphone i would ever buy.......just reduce the price! Here in India iphone x 64gb is priced at 1390$ which is crazy high. The biggest letting down factor according to me. It was the first time i was considering an apple product to be worth a try but the absurd pricing just killed it. Same here i would have surely bought it for 1000$ but no way for 1390$. So i am going to stick with my iphone 7 plus for another year. Look it came at a higher price and actually offer less. The first iPhone with an OLED display. That is a plus, but then they took a bite out of the top of the display, so that is less. Especially when apps have to accommodate that stupid cut out. Dumb, just dumb. Clearly Apple has been sitting on their laurels too long. Then the home button removal was different in a way that could have been okay. But that turned out worse since so much is tied to that one button. Apple could have placed touchID on the back of the iPhone X, but didn't. To accommodate that removal Apple had to give users a new way of navigation using gestures. Since Apple removed the tried and tested TouchID, then they force FaceID on you, which everyone has confirmed doesn't work as fast, or as often as TouchID did. Then they have the nerve to charge you a lot more money. I guess the people fought back and choose what they like with their wallets. What were you thinking Apple. They better have a finger print scanner of some kind on the next version of the iPhone X and drop the price down. Alot of nonsens. They didn't "take away" any screen area with the "notch". It adds screen area as the alternative would have been to use a "forehead" like most other phone which would make the screen area smaller, that is a fact. The removal of the home button was a great move according to me and alot of other that actually use the phone. The swipe to home/switch app is easier and faster than it every was with a button. "Since Apple removed the tried and tested TouchID, then they force FaceID on you, which everyone has confirmed doesn't work as fast, or as often as TouchID did" Again nonsens. I don't confirm that it does not work as well as TouchID, on the contrary I much prefer FaceID to TouchID. You just take alot of clearly subjective opinons and try to make it fact. It's not. How much experience do you actually have of the iPhone X may I ask? When every top-notch smartphone offers 4K screen, iPhoneX offers just slightly over 2K. When every top-end smartphone offers a fast charger as standard equipment, iPhoneX/8 come with the slow charger (5W) hence their customers are forced to spend over $35 to buy a fast charger! This is simply another rip-off. iPhoneX/8 gets rid off the 3.5mm phone jack so that their customers cannot use the high fidelity and lower cost headset. Instead, customers are forced to pay for the mediocre lightning headset or the very expensive air pods. As these air pods are prone to be lost during use, Apple happily keeps selling replacement air pods! Who da fook is Ming-Chi Kuo? Is he Apple's CEO? "Ming-Chi Kuo, KGI's chief analyst"
It's the guy who most Apple fans here bring out his reports when he says something positive about Apple (which is a lot) Like when he said last october that the X would sell 50 million in it's first quarter, he later reduced this to 40 million, then 30 million. Midan has a real hard on for this guy. Is it the iPhone X's price tag or is it the handset itself which makes it fall into low sales or low demand? Weird. price tag. And i hope Apple (and Google) get realistic with their pricing going forward. I have expendable income, but Apple's pricing has been out of touch with ALL consumers for 2 years now- especially their macbooks. And it costs more than one grand outside of the US... Killer for real. No it's.... Top Notch FAIL ID is the real killer. Apple will be fine. I do, however, wonder what people's reactions will be when all of their phones in 2018 will have the notch. Wonder? Are you kidding me? Do you aware that OEM have market and research team go in website like thesr and read comment see the fan reaction and no one want copy some that will tick off consumers. Ask HTC what happen when consumers start try different OEM. Calm down. From the people that I've talked to that actually have an iPhone X, they don't mind it. Most of us on this site do not have an iPhone X so we can't be so quick to judge. That being said, a $1000 iPhone is not for me...notch or no notch. The notch effects things like AR or VR headsets. Look at Mira 2 or prisim. Or all the VR headsets. Cardboard is the only one on iPhones. But Android has millions of Gear VR and Daydream VR headsets now. Plus the 10s of millions of Cardboard headsets that were sold. Chinese started to copy the notch already. Soon or later koreans will too. While Apple created something that brings nightmares and makes kids wanna need to visit psychiatrists when they grow up, Koreans make notchless implementations and try to discover new methods that will enable them to bring everything under glass expanding the screen to body ration. Then again, this is called innovation. Apple knows everything about copying. Well, the price is nothing but rediculous! Worst phone in the last 5 years. Bad design and removed one of the most important feature. Fingerprint scanner. Yet it was rated higher than note 8 by this site.. When it comes to value, the IP X is poor. Since when did 'Value' ever relate to anything made by Apple?